MILLIONS of pounds of taxpayers’ money has been ploughed into ensuring they have a well funded pension scheme – but why are MLAs investing in companies accused of tax evasion, price fixing, enforced evictions and creating `addictive’ video games? The revelation comes just days after it emerged that the Stormont Executive is going to force hospital staff, teachers, firemen and other public sector workers to pay millions more pounds in pensions contributions in coming years because of what it says is enforced budgetary cuts from Downing Street. The Detail has investigated the background of the Assembly members’ own pensions portfolio and discovered serious questions about the credentials of a number of them, including African Minerals, First Quantum, Coal of Africa, Votorantim, Grupo México and NCsoft. But it remains unclear what, if any, ethical standards our MLAs are held to when it comes to the retirement plans they’ve set up with public money; we asked for `statement of investment principles’ but were told that only MLAs were allowed to see it. 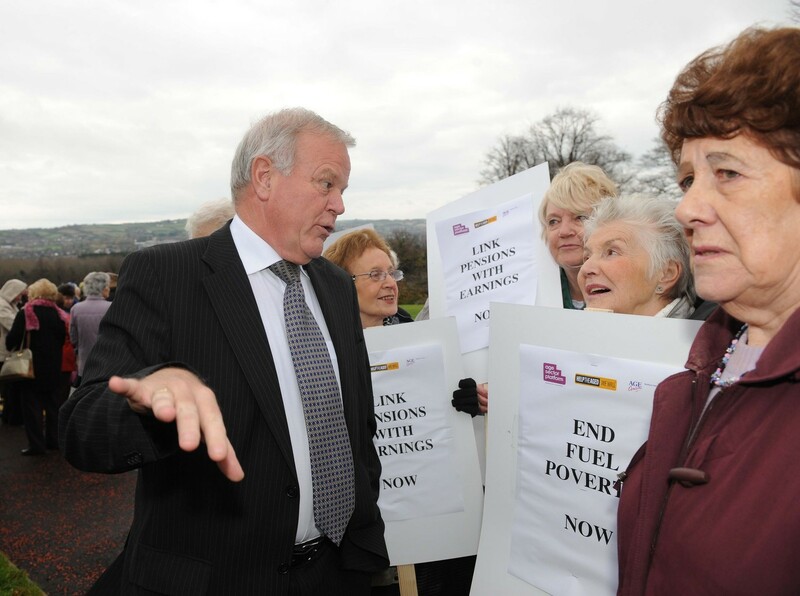 Every year the Northern Ireland taxpayer contributes more than £1m to a politicians’ pension fund to ensure that assembly members at Stormont are guaranteed a comfortable lifestyle when they reach retirement age. All parties at Stormont have signed up to the fund. The latest 2009/2010 accounts available for the MLAs’ retirement fund, showed that taxpayers contributed more than £1.2m into the pension pot, while assembly members themselves contributed just £483,000. The pension accounts also reveal that local politicians had a £5.25m windfall during 2009/2010, when their retirement fund reserves rocketed from £9.1m to £14.42m. The fund is administered by M&G, one of Britain’s most high profile investment management companies. Under M&G’s guidance the fund has invested in long established low risk markets in Europe and North America. However it was its investments in the emerging markets of Africa, South America and Asia which reaped MLAs a whopping 92% return in just one year. But major questions are now being asked as to whether MLAs have put in place proper safeguards to ensure that the companies they invest in have abided by the necessary ethical and human rights standards. One of the companies which the Stormont pension fund chose to invest in was African Minerals. As Britain’s fifth largest real estate company African Minerals is heavily engaged in the exploration of gold, diamond and uranium, primarily in Sierra Leone in west Africa. However the company, and in particular its billionaire chairman, Frank Timis, have a chequered history. 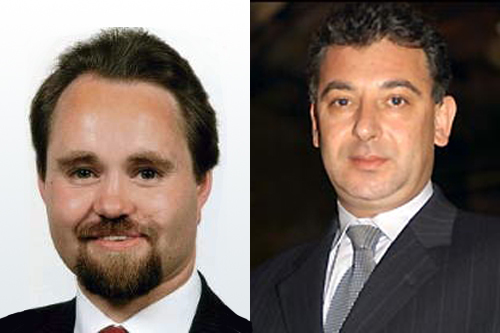 The Romanian born businessman was twice convicted of possession of heroin in Australia in the 1990s. In 2008 African Minerals was fined £75,000 by the London Stock Exchange (LSE) for publishing misleading and unrealistic optimistic information. In 2006 another former Timis owned company, Regal Petroleum, was fined a record £600,000 by the stock exchange for consistently misleading shareholders over a potential oil discovery in Greece. In May 2009 African Minerals director Peter Truscott became the first peer to be suspended from the House of Lords in 350 years after he was found guilty of involvement in a `cash for questions’ scandal. Another company which MLAs invested in is First Quantum. The company is primarily involved in copper mines across the globe including, Zambia, Democratic Republic of Congo (DRC), and Mauritania. In April 2011 five international non-governmental organisations, including a Zambian partner of Christian Aid (the Centre for Trade Policy and Development), lodged an official complaint against First Quantum and its investment partner Glencore. The complaint, which was lodged with the Organization for Economic Co-operation and Development (OECD), alleges that First Quantum and Glencore had attempted to evade a multi-million pound tax bill resulting from profits the companies made from its Mopwani copper mine in Zambia. The complaint was based on leaked tax audits, which allege that First Quantum and Glencore’s subsidiary mining company, MCM, deliberately kept incomplete book-keeping accounts, artificially inflated costs and sold commodities far below market prices to its parent companies. As a result taxes, which would have been paid to the Zambian government, were allegedly reduced to a minimum. It is claimed that profits from the mine were instead registered in Switzerland, where a much more favourable tax regime is in place. “In accordance with EIB’s anti-fraud policy, the Bank has informed Olaf [the European Anti-fraud Office] and has also launched its own investigation … depending on the outcome of this independent investigation by EIB, further action – including possible legal action – will be taken, if necessary." Glencore denied any wrongdoing, claiming the report was “based on broad and flawed statistical analysis and assumptions” and insisted that “no transfer pricing” had taken place. It is not the first time in which First Quantum’s involvement with the Mopani mine development has caused controversy. In 2001 the OECD was asked to investigate another complaint against the company. In that instance Oxfam had accused the company of threatening to forcibly evict mine workers who were squatting on the site after being told they were to be sacked. The company and local villagers reportedly reached an accommodation at that time. However in 2008 a subsequent OECD report alleged that the enforced evictions had begun again in 2006 and were still continuing. In October 2002, then United Nations Secretary General Kofi Annan, asked a panel of experts to investigate First Quantum’s alleged involvement in payments to government officials in the Democratic Republic of Congo. The report stated: “In its attempts to buy rights to the Kolwezi Tailings, First Quantum Minerals (FQM) of Canada offered a down payment to the state of $100 million, cash payments and shares held in trust for government officials. “According to documents in the possession of the panel, the payments list included the National Security Minister, Mwenze Kongolo; the Director of the National Intelligence Agency, Didier Kazadi Nyembwe; the Director General of Gécamines, Yumba Monga; and the former Minister of the Presidency, Pierre-Victor Mpoyo. Coal of Africa was established in western Australia in 1979. While it was originally involved in mining gold, platinum and base metals, it later diversified into mining coal, mainly in South Africa. 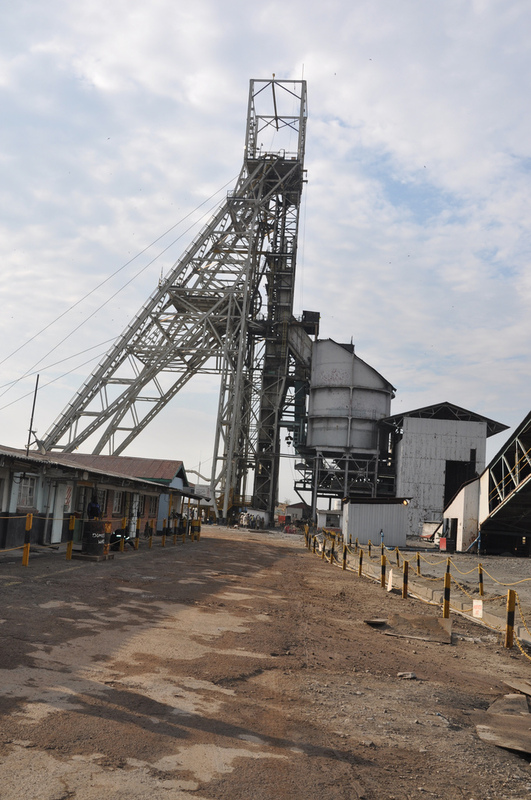 Earlier this year it attempted to open a coalmine at Vele Colliery in the Limpopo region. 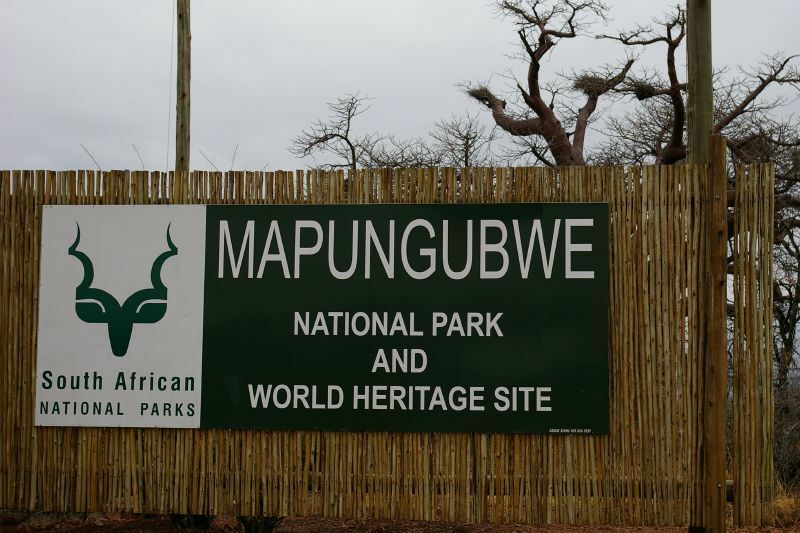 The development sparked major controversy as the proposed mine is situated close to the ancient Mapungubwe area, which is an UNESCO world heritage site. The company had its water licence suspended after the South African government’s Department of Water & Environmental Affairs (DWEA) accused the company of breaking environmental laws. Last month (September) the company signed a controversial memorandum of understanding with the South African government, which it hopes will allow it to resume work on the mine in the near future. However pressure groups, including Endangered Wildlife Trust (EWT), have complained about a lack of openness surrounding the agreement. The Votorantim group is one of the largest industrial conglomerates in Latin America, operating in finance, energy, steel, pulp and paper. In 2010 it had a $21 billion turn over employing 98,000 across the globe. However in 2009 Votorantim faced a multi-million dollar lawsuit in the United States after it and eight other international cement companies were accused of price fixing, stretching back over a 10 year period. In July 2011 Votorantim and two of the companies involved initiated legal proceedings against their own insurance company, Zurich Insurance, after it refused to defend them in the law suits. Grupo México is the largest mining corporation in Mexico and the third largest copper producer in the world. 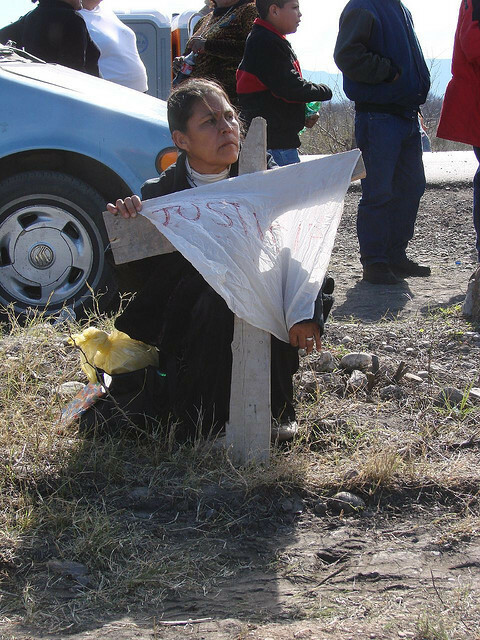 In 2007 a Mexican judge threatened to issue arrest warrants against senior officials in the company after 65 workers were killed in an explosion at the Pasta de Conchos coalmine. Mexican State prosecutor Jorge Torres claimed the tragedy could have been avoided and accused Grupo México and the country’s labour ministry of “deep and offensive negligence”. Torres claimed to have documentation and testimony from mine workers which, he said, showed the mine was unsafe and had insufficient ventilation at the time of the accident. In August disabled US war veteran Craig Smallwood launched a $9m law suit against NCsoft claiming that he had become addicted to their online video game Lineage II. The court heard that Smallwood had spent more than 20,000 hours playing the company’s computer game over a five year period. Smallwood claimed he was plunged into depression, developed severe paranoia and hallucinations and was forced to spend three weeks in hospital in 2009 after NCsoft accused him of breaking its rules and banned him from playing the game. A judge in Hawaii ruled that Smallwood was entitled to sue the company on the grounds that it had been negligent by failing to warn him of the danger that he would become “addicted” to the game. 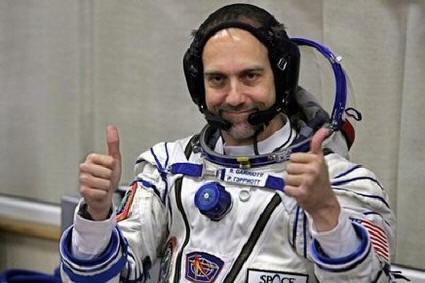 In July 2010 NCsoft was ordered to pay former employee Richard Garriott $28m after the company informed him that he was being fired having just returned from a trip into outer space. Garriott, an iconic game developer known to fans as Lord British, successfully sued NCsoft for the way in which it handled his departure from the company in 2008. He told the court that he had been in quarantine in Russia after his space flight when an NCsoft executive called to inform him his days with the company were over. SHOULD TAXPAYERS’ MONEY BE INVESTED IN CONTROVERSIAL COMPANIES? There is no mention in the MLAs’ pension report of guidelines to ensure that its funds are properly invested on an ethical basis. However Global Witness, which regularly exposes companies involved in the exploitation of the Third World, warns of the need for governments to ensure that taxpayers’ money is not invested in companies that have been implicated in potential human rights abuses. “Governments have a responsibility to ensure that tax payers money contributed to pension funds are invested in companies that do not have a track record of corruption, exploitation of disadvantaged communities or human rights abuses,” said Global Witness spokeswoman Natalie Ainsworth. But is there an obligation on our politicians to invest ethically? It remains unclear why a publicly-funded trust has chosen to block a legitimate request to scrutinise whether or not it is allowing taxpayers’ money to fund companies allegedly involved in unethical human rights abuses. But while our MLAs’ pension fund appears to lack the necessary guidelines to ensure that taxpayers’ money is invested ethically, there are other countries who do have proper protections in place to avoid human rights abuses. Norway operates the wealthiest state-owned pension fund in the world, with billions of pounds from the country’s petroleum industry invested in global markets. However the state run scheme operates under the tight control of a `Council of Ethics’, which excludes the pension fund from investing in companies which have been implicated in potential human rights abuses. One of the companies which the Norweigan pension fund refuses to invest in is Raytheon. The company, which makes component parts for cluster bombs, has a factory in Derry city. When the Detail requested a copy of the pension fund’s `statement of investment principles’, an assembly spokeswoman said that only MLAs were allowed access to the document. The Detail provided the pension fund trustees with information it had uncovered regarding the controversies surrounding some of the companies its fund has chosen to invest public money into. We asked whether the fund was aware that it had invested in companies accused of tax evasion, price fixing and enforced evictions. We also asked if the trustees, having been made aware of the allegations, would mount any investigation into the claims made against its companies. “The trustees do not select individual stocks or companies to invest in, but rather invest in a pooled pension fund provided by M&G Ltd. 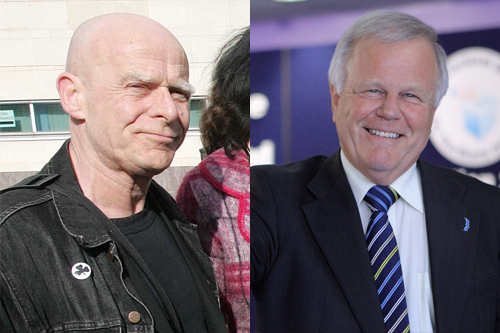 However veteran civil rights campaigner Eamonn McCann, who received nearly 4,000 votes as a candiate for the People Before Profit alliance in this year’s assembly election, rejected the MLA’s suggestion that politicians could not be held responsible for the companies their pension fund invests taxpayers’ money in. “The buck stops with the MLAs,” he said. “To say that it’s up to the investment company is just to say: `we’re helpless, we’re just play things of the arrangements which are made here’. “That doesn’t give people much confidence in their ability to do anything." “Politicians talk about right and wrong all the time. “They compete with one another as to who is the most noble, but when it comes to something like this, ethics seems to go out the window. “It’s not as if ethical investment is a new concept. The Detail asked management firm M&G Ltd to respond to the concerns over the companies which the MLAs’ pension fund has invested in but the company declined to make comment.